Jay Z is reportedly involved in a paternity lawsuit in which a 21-year-old aspiring rapper is claiming that the “99 Problems” rapper is his father. 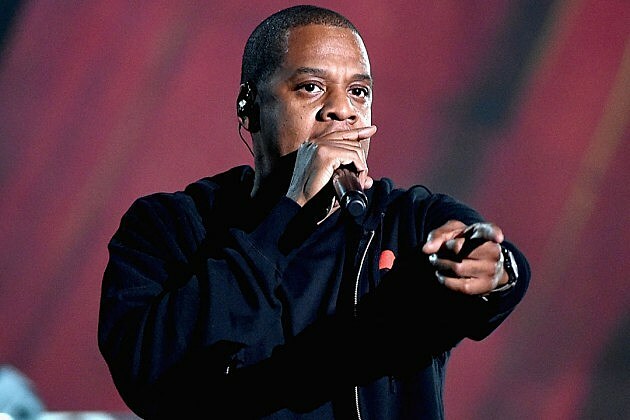 According to TMZ, Rymir Satterthwaite is suing Jay Z based on his claims that his mom had an affair with the rapper in the early ’90s, which resulted in his birth. (We’re talking way before Beyonce relationship status here.) The site also reports that Satterthwaite — an aspiring rapper himself — and his legal guardian Lillie Coley claim in the lawsuit that Jay Z had submitted “fraudulent information” in order to purposely debunk Satterthwaite’s claims. While exactly what “fraudulent information” Jay Z submitted, well, even TMZ doesn’t know for sure — but some reports apparently state that the rapper has refused to take a paternity test. The site reports that the lawsuit, handwritten by Coley, claims that they are suing for “financial and emotional” damages. While the Carter family are sadly no strangers to paternity lawsuits (Beyonce‘s estranged father Mathew Knowles has been embroiled in several), we are totally taking this one with a grain of salt. While, yes, the 21-year-old is an aspiring rapper and some commenters have noticed a slight resemblance to Jay Z (watch a video of him rapping here) the whole thing sounds a little fishy to us to he be honest.